Based on the 416 platform, the Hammerli Tac R1 22 is a high quality tactically styled .22LR semi-automatic rifle. It is reliable with high velocity ammunition and is field strippable, the bolt speed can also be adjusted optimising performance. 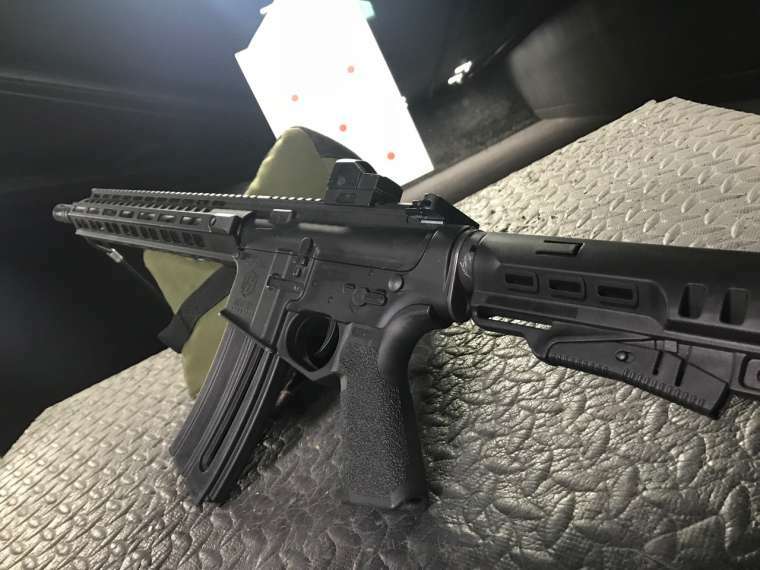 The all metal construction makes the rifle feel nice and robust, it as a full length picatinny ‘flat-top’ rail, side and bottom M-Lok rails for accessories to be attached, quick-flip open aperture sights which are adjustable for both windage and elevation.